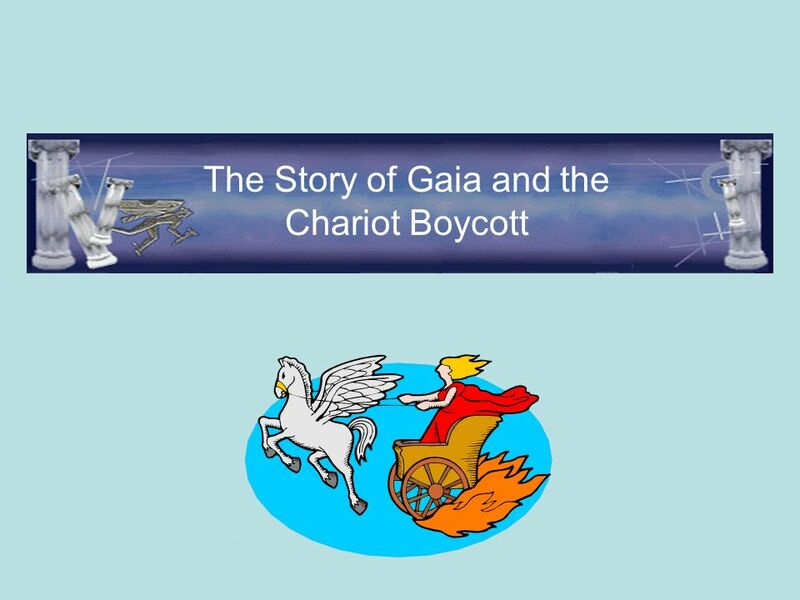 The Story of Gaia and the Chariot Boycott. 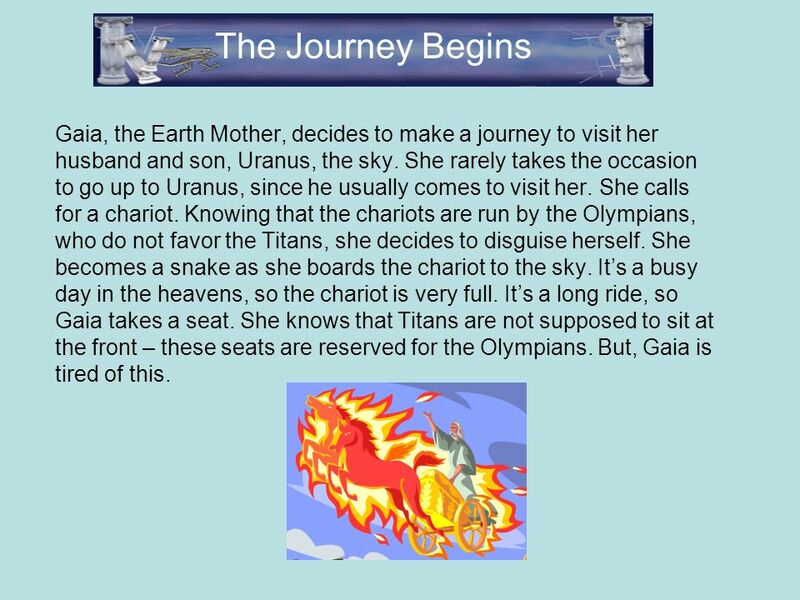 Gaia, the Earth Mother, decides to make a journey to visit her husband and son, Uranus, the sky. She rarely. 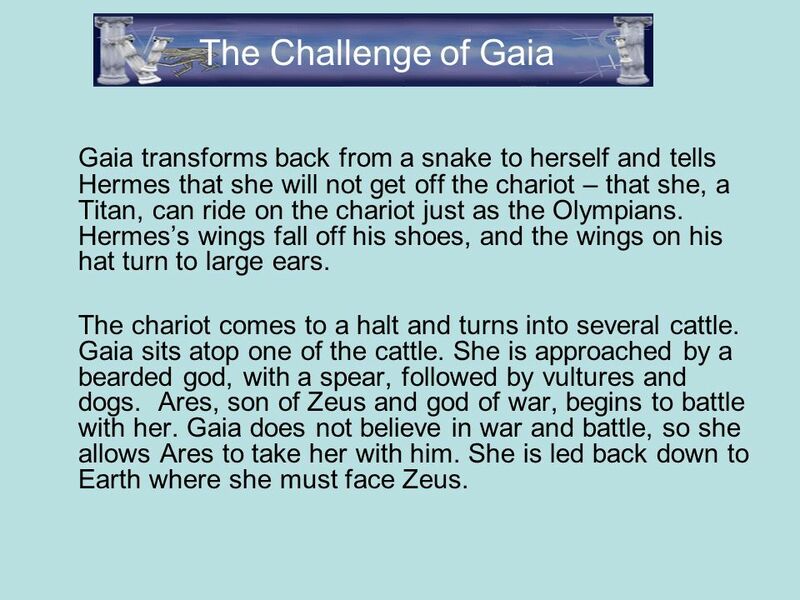 Download ppt "The Story of Gaia and the Chariot Boycott. 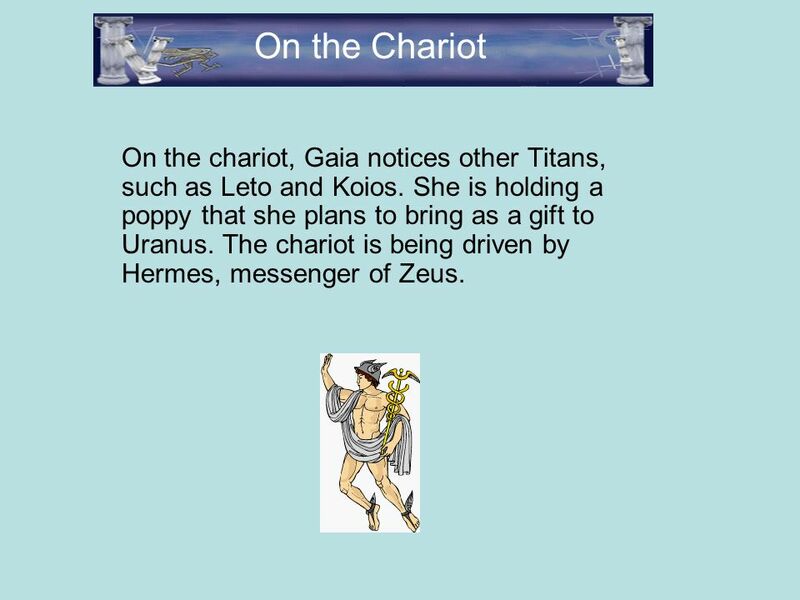 Gaia, the Earth Mother, decides to make a journey to visit her husband and son, Uranus, the sky. She rarely." Greek Gods and Goddesses By Patrick H.. Zeus Zeus is the king of Mt. Olympus. His symbols are the eagle and the oak tree. He is the king of all people. By Lucius.  He was one of the 12 Olympian gods  Mainly he is known as the god of the sun  He was also the god of archery, prophecy, music medicine. By Rick Riordan Published by Scholastic inc. Copy right 2004 Genre: Mythology By Christian Palmer. Deities of Mount Olympus Name__________________ Preview the document to assure a clear idea of required information. 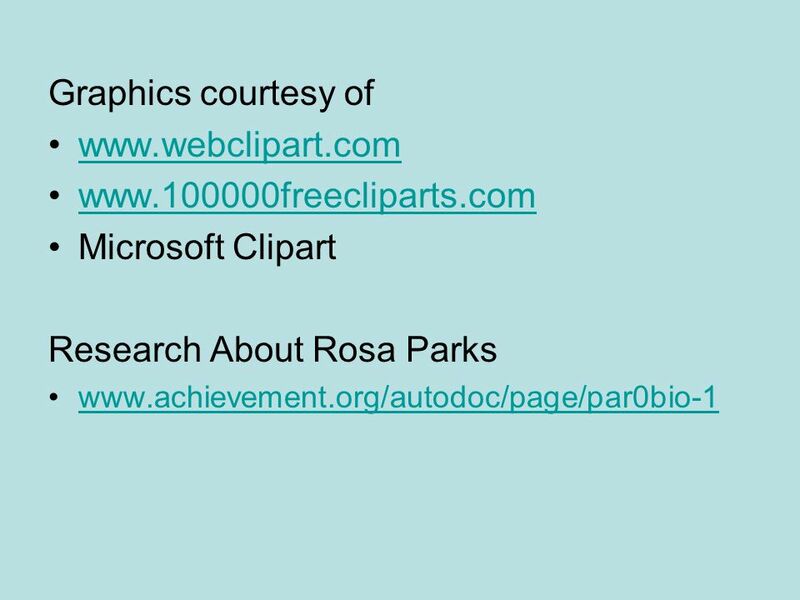 You will use the video to fill-in. 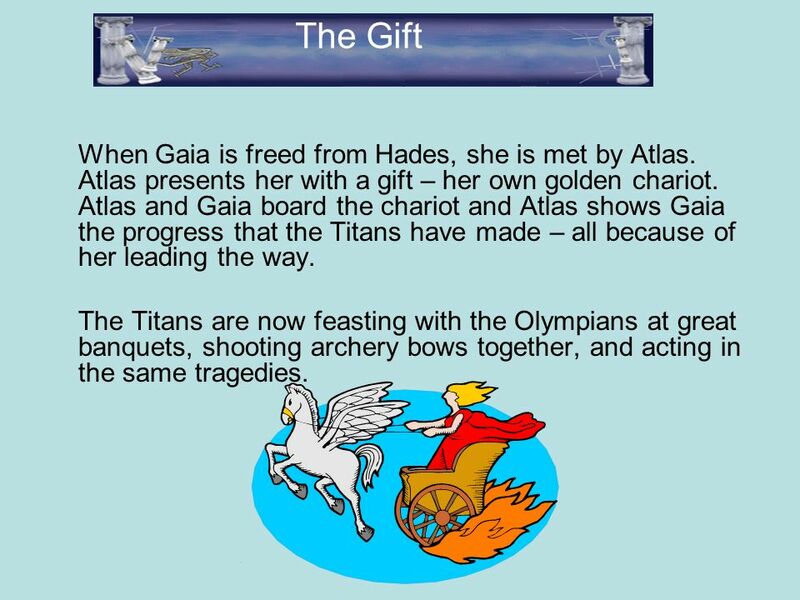 Greek Mythology : Gods & Goddesses. Mythology Ancient cultures used mythology belief systems much the same way that people use modern religion. 1. to. Greek God/Goddess Project. What you need to do: You will conduct research about the God/Goddess or Muse you select. You will need to find out family history. The Olympians and their Children And Their Children. Gods of the Odyssey. Cronus (Saturn) King of the Titans - Cronus’ symbol was the sickle. He used the sickle to mortally wound his father, Oranus. He was. 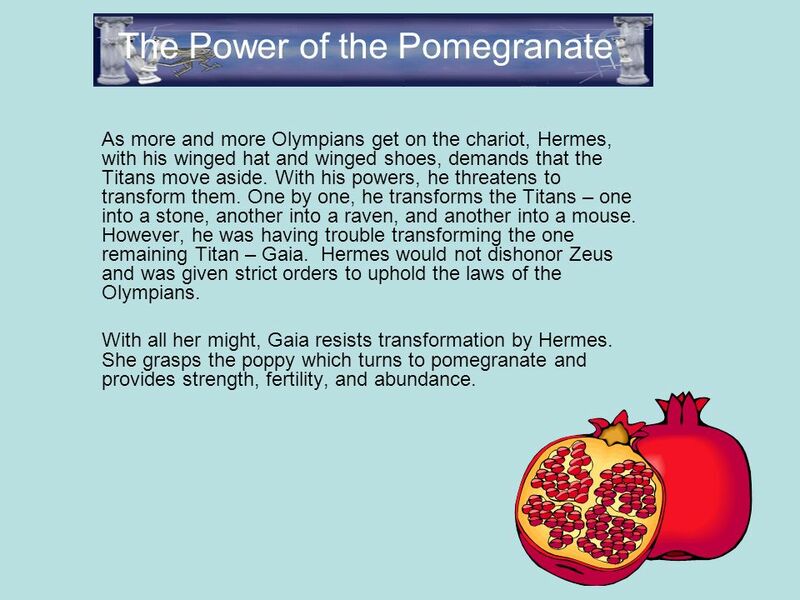 Phaeton and the Sun Chariot Retold by: John Brumm Carson Huber Payton Cornelius. 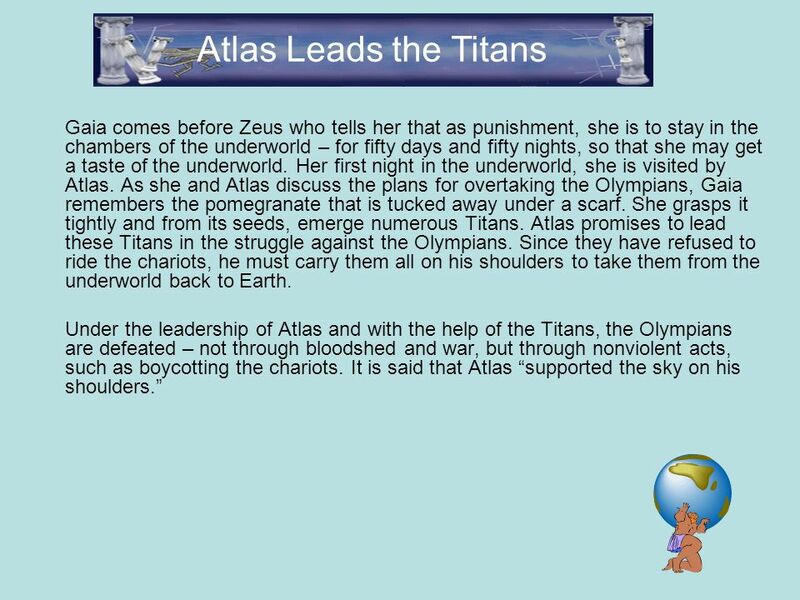 THE GODS The Titans and the 12 Olympians The Lesser Gods of Olympus The Deities of the Waters The Deities of Earth. 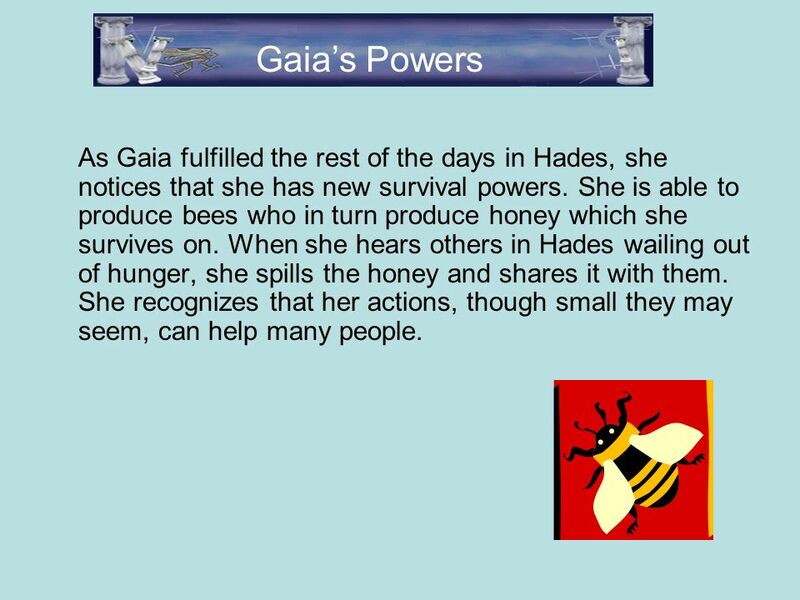 Greek Mythology A Review of Gods and Heroes. What is a myth? Traditional story Uses supernatural to explain natural events Explains the culture’s view.